Two female vendors selling Angpao (little red envelopes), signaling the start of the holiday season in Chinatown. Sta. Elena St., Binondo, Manila. Taken through my usual route, cutting through Lucky Chinatown walk on my way to Juan Luna St. I was still deciding if I would go 50mm or 28mm for my walk yesterday and just quickly snapped the two with the Nikon Nikkor 1:1.2/50mm AI-S lens on my camera before switching to a 28mm for the rest of my walk. See Flickr for EXIF. Posted originally on my Instagram. Filed under Street Photography. Tagged as 50mm, Binondo, Chinatown, Nikkor, Nikon, Sony, Sony A7SII, Sta. 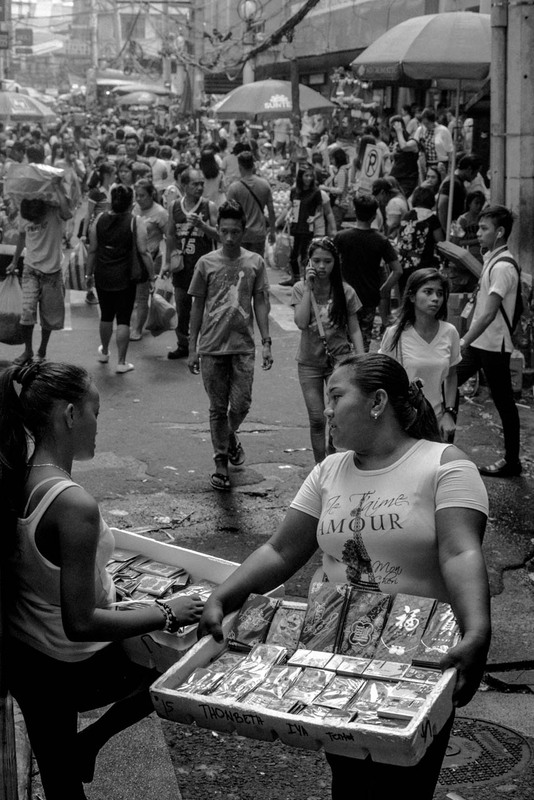 Elena St, Street Photography, Streets of Manila, Vintage lenses.